We are highly involved in providing full-fledged range of Printed Mobile Phone Box to our valuable clients. These boxes are available in various shapes, sizes, designs, and color combination to meet each client’s demands. Packed mobile with these boxes are transported safely without any damage and scratch. 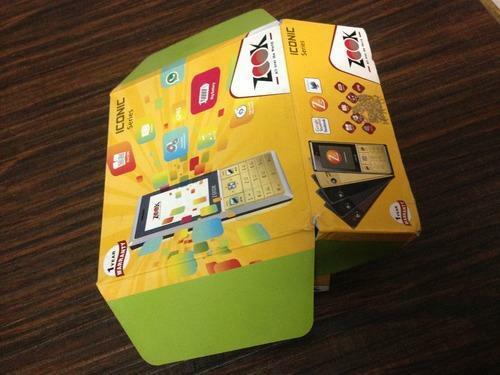 Apart from this, our clients can receive offered boxes at reasonable price. We, Priya Processing are leading Manufacturer, Supplier and Service Provider that established in 1991 in Delhi, (Delhi, India). We are the biggest name in the market offering best collection of Printed Box, Printed Mono Carton Box, Printed Corrugated Box, Printed Brochure, Printed Catalog, Offset printed services, Printed Leaflet, Printed Sticker, Printed Poster and Printed Flyers. All these printed produced are contrived by our most creative and smart professionals. All these collections are designed keeping in mind the current market requirements and global standards. They are beautiful to look at and very quality assured in designs. All these collection are highly used in many packing industries, retailer shopes, showrooms, hotels and café as menu and promotion purpose. They are available in many shapes, designs and texture. They are smoother in designs and very brilliantly designed. All these printed products are broadly purchased on many bases like cost effective rates, durability, smart designs and laminated box.